Representative Tracy McCreery (D) – May 17, 2018. 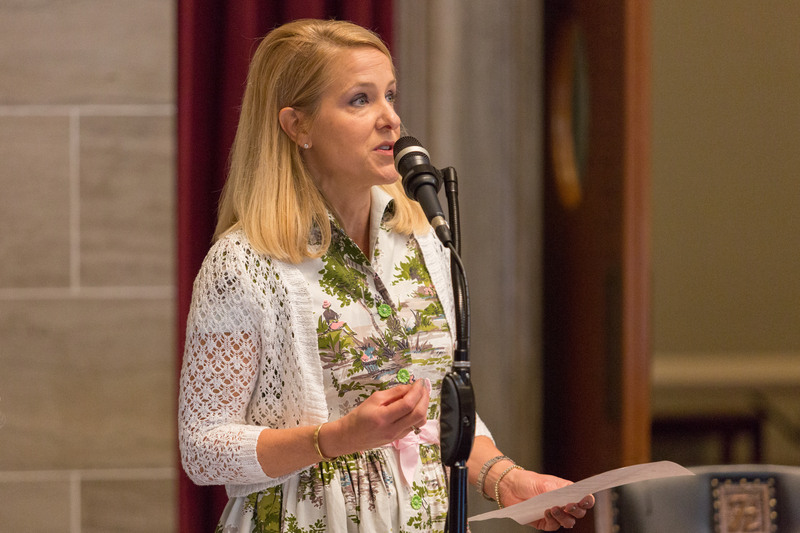 Representative Tracy McCreery (D) moved for the House to suspend Rule 42 so that an amendment could be offered to the Senate Revision Bill. The amendment would add the language to remove now unconstitutional references in statute contrary to marriage equality. Rule 42. [pdf] Any bill denominated as a revision bill by the appropriate committee shall contain only that subject matter approved by the committee on legislative research, and additional material may not be amended thereto, unless needed as a technical correction. It’s the law of the land, but the majority is just being petulant. Before you wring your hands over the wisdom of suspending the rules you might note that earlier the House voted to suspend Rule 22, allowing conference committees to meet while the House was in session and later suspended Rule 99, which allowed members and staff to wear tennis shoes on the floor of the House. Representative McCreery offered an amendment, a member of the majority raised a point of order, the Speaker ruled against offering the amendment since Rule 42 was not suspended. The House then voted on the Senate Revision bill(s), without any corrections based on marriage equality. 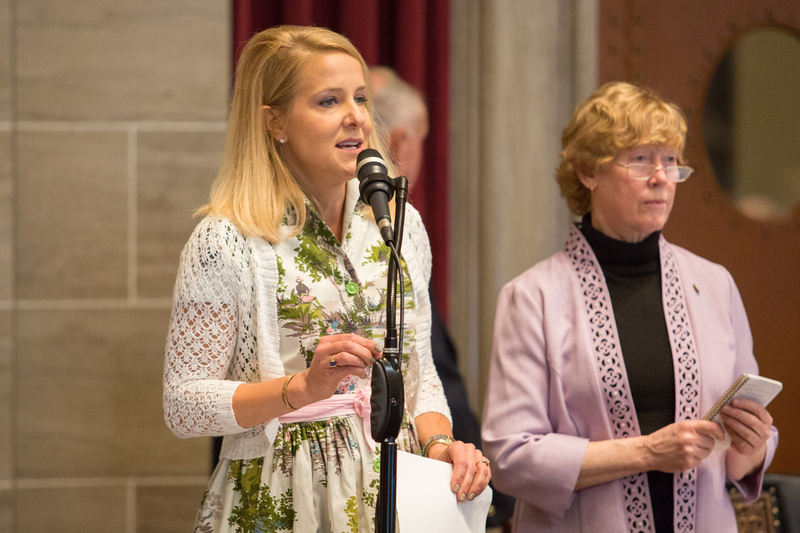 SRB’s 975 & 1024 (Senate Revision Bill) has been truly agreed to and finally passed by #MOHouse by a vote of 105-40. Ladies and gentlemen, your Missouri General Assembly.